Ministers' plans to build a high-speed rail link between Heathrow and Gatwick to expand air capacity around London have been criticised by Heathrow Airport operator BAA. The train link, which would travel underground, bypassing the M25, would create an airport hub described as "Heathwick". The idea is billed as a cheaper and quicker solution to building an airport in the Thames Estuary, but critics including British Airways, say such a scheme would be a "huge mistake". The radical scheme, reported to cost £5bn, is to be included in the Government's review of aviation policy which will be published for consultation in the spring. A Department for Transport spokesman said: "As part of our work on this we are seeking views on the key issues which need to be addressed, including the importance of a UK hub airport and whether it might be possible to create a ‘virtual hub’ by improving connectivity between existing airports. This proposal will form a useful contribution to the debate and will be considered alongside all other responses." 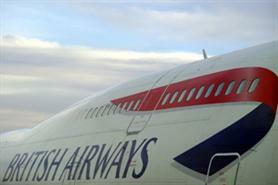 However, a spokesman for BAA, which owns Heathrow, said the rail link would not solve runway capacity. He said: ""We welcome the debate on possible solutions, however a virtual hub between Heathrow and Gatwick faces seemingly insurmountable technical, operational, political and financial challenges, and would take many years to deliver. "It provides no extra runway capacity in the South East, which is the key problem identified by the Department for Transport’s own passenger forecast. To remain competitive in the short-term we need to find ways of protecting and valuing the successful hub we already have at Heathrow."